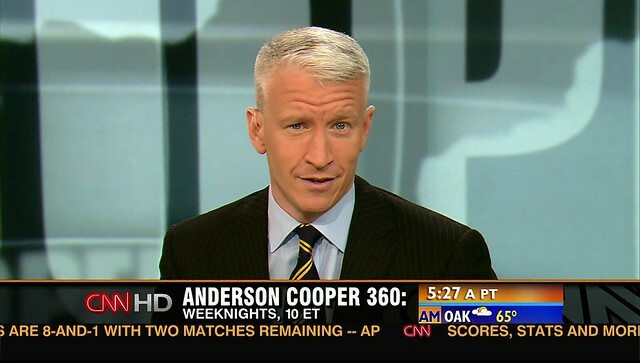 Anderson Cooper: Anderson Hays Cooper is an American journalist, author, and television personality. He is the primary anchor of the CNN news show Anderson Cooper 360°. 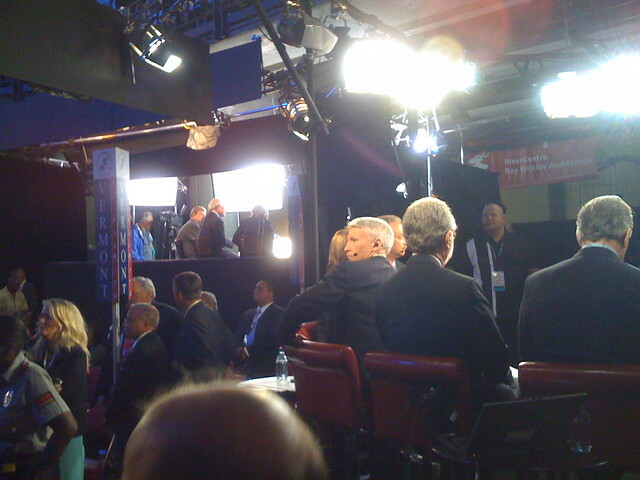 The program is normally broadcast live from a New York City studio; however, Cooper often broadcasts live on location for breaking news stories. From September 2011 to May 2013, he also served as host of his own eponymous syndicated daytime talk show, Anderson Live. written works: "Dispatches from the Edge: A Memoir of War, Disasters, and Survival", "Attacks on the Press in 2006", "Biographical Dictionary of Famous Tar Heels"
"Hope for Haiti Now: A Global Benefit for Earthquake Relief"
"The 4th Annual CNN Heroes: An All-Star Tribute"
"CNN Heroes: Coming Back from Katrina"
"Journalists Killed in the Line of Duty"
nominated to James Beard Award for Television Segment - "Chef Jose Andres"
James Beard Award for Television Segment - "Chef Jose Andres"
nominated to People's Choice Award for Favorite Daytime TV Host - "Anderson Live"
nominated to Daytime Emmy Award for Outstanding Talk Show Host - "Anderson Live"
"Anderson Cooper" is a musical single of Silent Approach. True or false: Anderson Cooper spent a year in Vietnam. 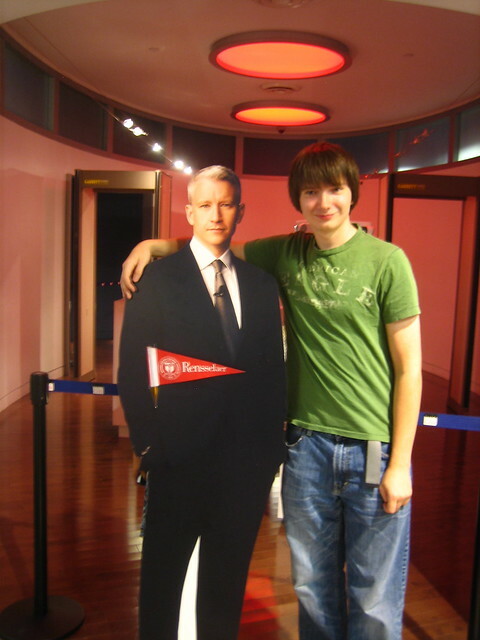 True or false: Anderson Cooper is a freelance writer. question 48 question. Along the river this evening, AC 360. Cool LED lighting they use. "Anderson Cooper 360", Live from Rancho Bernardo CA. 10/24/07. See also the pronunciation examples of Anderson Cooper! Go to the usage examples of Anderson Cooper to see it in context!